In a Smart Home, smart devices can serve often dual functions reducing the 'tech overload' of too many gadgets. One good example of this is the Smart Video Phone. The Gransdstream GXV3240 contains not only a feature rich IP phone, but also an inbuilt LCD screen for Web Browsing or home automation system control and an IP camera. 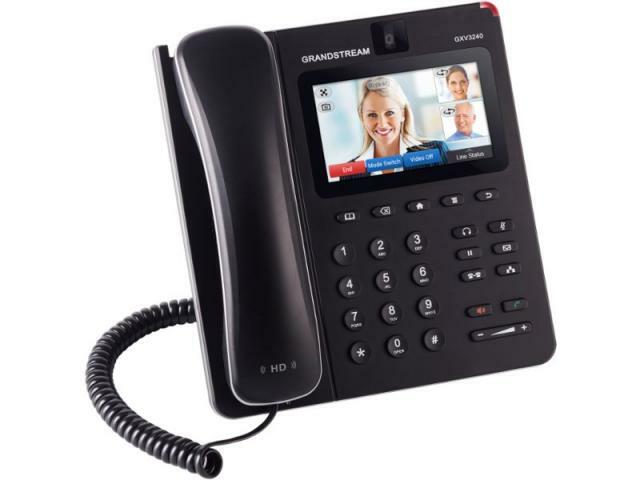 The Grandstream GXV3240 combines best-in-class technology to enable free video and voice calling worldwide with just one simple step: plug-in. Keep in touch with friends and family around the world as well as controlling aspects of your daily life without moving from your desk.